Hair loss can occur for a number of reasons. Stress is one of the factors that has been scientifically proven to aid hair loss. The type of hair loss can be both permanent and temporary and can be caused by both physical as well as mental stress. Dealing with stress related hair loss and stopping it is not an impossible task and can be achieved by better understanding the phenomenon and moving in the right direction. We shall dig a little deeper to learn more about remedies for stress related hair loss. Three stress related conditions can cause hair loss. Telogen Effluvium is a condition in which more than usual hair go into the resting phase and hair loss is had. It is generally temporary and is caused by both mental and physical stress. Alopecia Areata is an autoimmune condition in which hair are lost in patches. 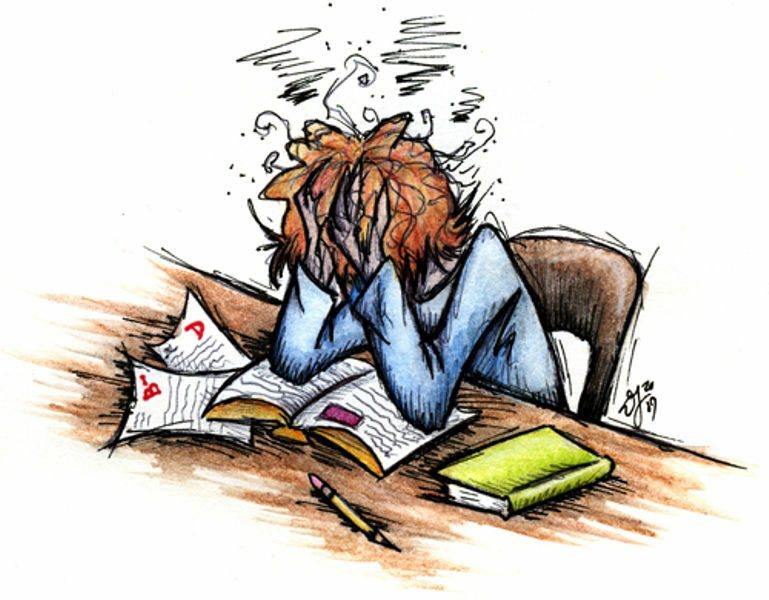 Stress has been associated with onset of this condition as well. Trichotillomania is hair loss due to physical stress as a result of impulsive pulling of the hair. People generally indulge in such acts due to boredom or to keep themselves occupied. Hair loss caused by stress can be dealt with and reversed by making some adjustments in life. The first thing to do is to reduce the level of stress in life. Start by taking matter easy. Everyone has problems and fretting over petty matters will not solve them. Exercising is big mood lifter too so make sure you work out. Indulge in healthy activities that take the mind of stress and makes you happy. If the stress is not relenting by any method, seek professional help. See a therapist and get the stress out of your system. It will take time and probably cost you some money but it is completely worth it. Improving upon general habits is important. Get adequate sleep to reduce stress. Take a diet that is full of good nutrients. Use a good organic shampoo for better follicular health. Massage your scalp with essential oils to provide scalp with nutrition and better blood flow. These small changes matter a lot. Reduce stress by taking it easy. Eat well, get enough sleep and take good care of your hair and the stress related hair loss should reverse pretty quickly. To learn more about hair loss or to get a hair transplant, fill in the form given below for a free online consultation. Feel free to visit us at Hair Transplant Dubai Clinic.